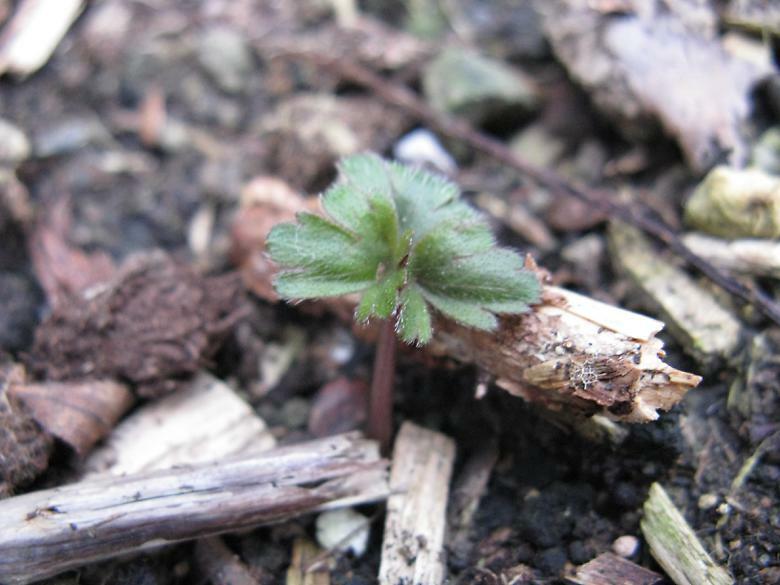 A few leaves of the original patch of Anemone blanda are starting to show. I was surprised to see them this early, so I looked back at previous years photos. Last year the first picture I have is on Feb 4th, whereas in 2017 I don't seem to have any pictures of the first leaves in spite of me having taken pictures of just about every other shoot that appeared. So they may be a couple of weeks earlier than last year, which is not too strange given that last year was so much colder. I can't say for the year before that, but I guess it is normal for a normal winter.